NEW YORK, November 6, 2013/African Press Organization (APO)/ -- Ethiopian police have arrested without charge two editors of the leading independent Amharic weekly Ethio-Mihdar, according to local journalists. Police in the town of Legetafo, northeast of the capital Addis Ababa, on Monday arrested Getachew Worku in connection a story published in October alleging corruption in the town administration, according to Muluken Tesfaw, a reporter with the paper, who spoke to Getachew shortly after his arrest. Getachew has not been charged, he said. On Saturday, police arrested Million Degnew, the general manager of the newspaper, and Muna Ahmedin, a secretary, said Muluken and local journalists. Muna was released the same day but Million remains in custody without charge, Muluken said. "A free and inquisitive media is a cornerstone of development that should benefit all Ethiopians," said CPJ's Africa Program Coordinator Sue Valentine. "Repeatedly detaining journalists without charge is an intimidation tactic that must end. We urge the authorities to release Million Degnew and Getachew Worku immediately." 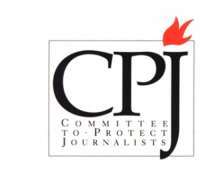 The government has harassed Ethio-Mihdar in the past for its independent coverage, according to CPJ research. Million and Getachew have been sued for defamation by the public Hawassa University, according to local journalists and news reports. University officials are seeking 300,000 birr (US$15,000) and the closure of the newspaper over a report alleging corruption in the school's administration, according to local journalists. In May, Muluken was detained for 10 days while reporting on evictions of farmers from their land in northwest Ethiopia. He was released without charge. Ethiopia trails only Eritrea as Africa's worst jailer of journalists, according to CPJ's annual prison census. More than 75 publications have been forced to close under government pressure since 1993, CPJ research shows.